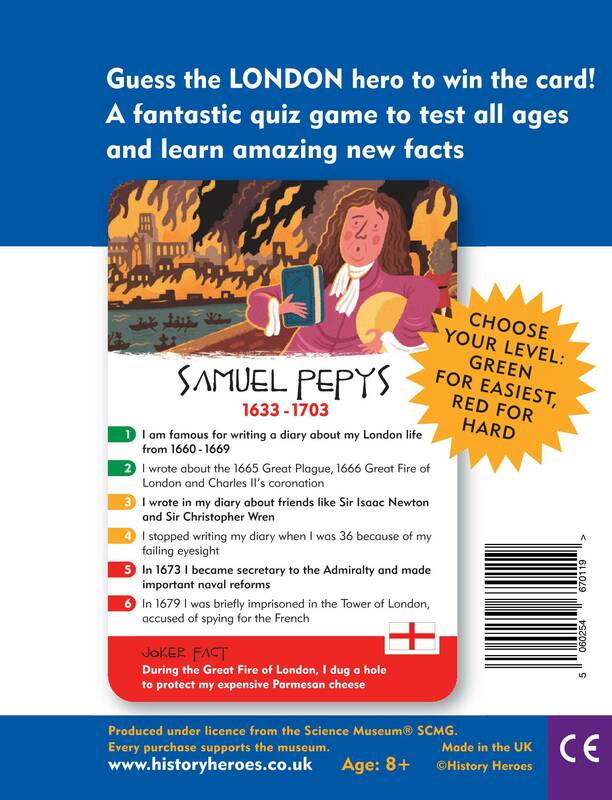 View Cart “History Heroes: SPORT quiz card game” has been added to your cart. 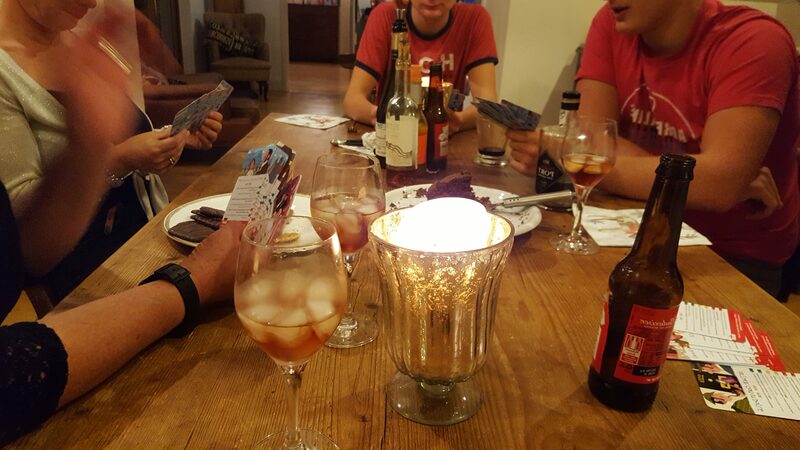 Win the game by winning the cards! 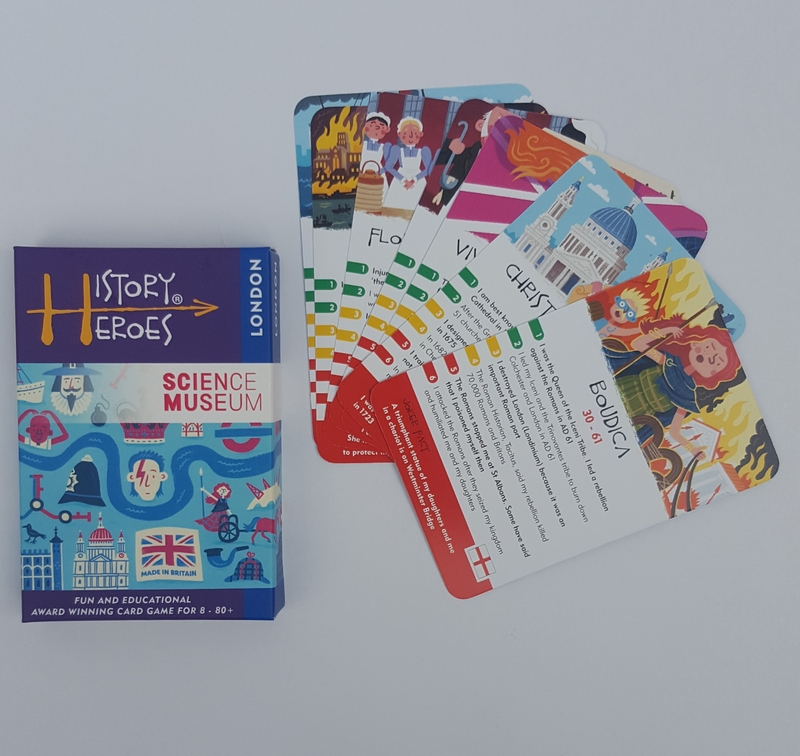 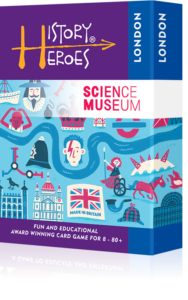 History Heroes’ LONDON quiz card game contains fantastically illustrated, fact-packed, individual cards of forty of the greatest characters in the Capital’s impressive history. 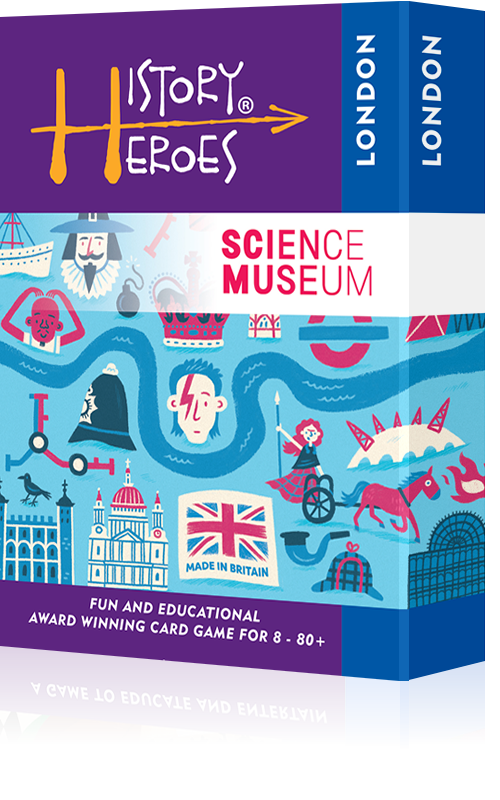 The game contains the people, who helped make and shape London both physically and culturally. 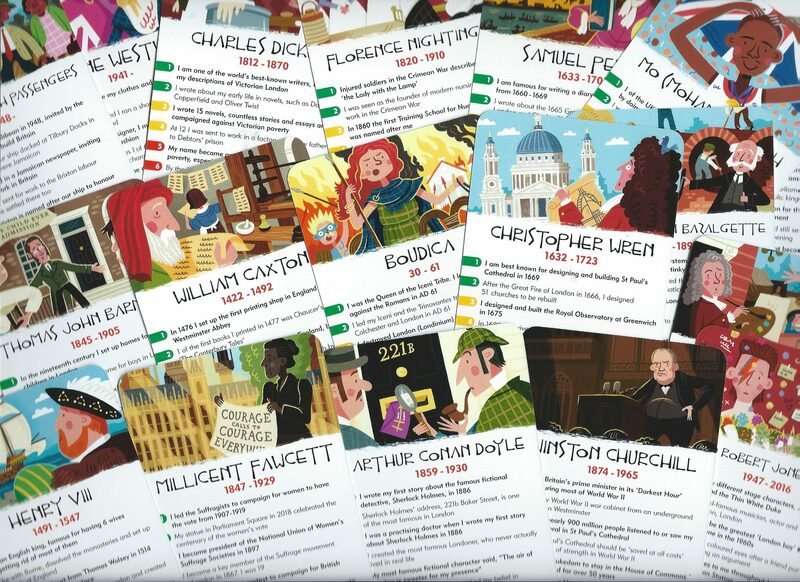 Characters, who built and, in some cases, destroyed London, such as Boudica, the Romans, Christopher Wren and Richard Rogers, rub shoulders with those who have given London its fantastic, rich cultural history too, such as Shakespeare, Laurence Olivier, David Bowie, Mo Farah and Vivienne Westwood.